Smooth, healthy and glowing skin is natural desire of every person. To fulfill this desire, beauty conscious women spend a lot of money of commercial products including expensive body lotions and skin moisturizers but usually don't get the desired results. 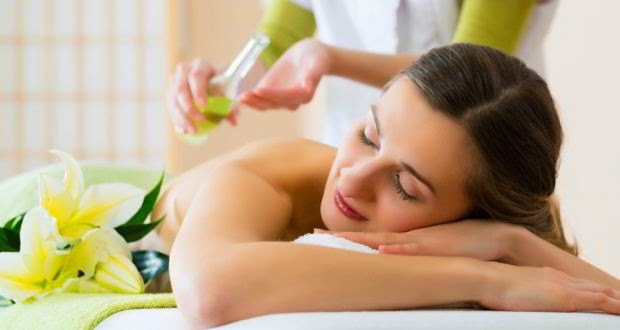 However, you can also have smooth, supple and glowing skin simply by regular massage with any of the given oils which are less expansive and considered very helpful to get smooth, glowing and youthful skin. Rose essential is one of the best and most popular essential oil for skin massage. Rose oil not only cleanses the skin pores but also naturally moisturizes the skin.Regular massage with Rose oil is considered best to reduce fine lines and skin wrinkles. It is also considered one of the best skin massage oil.It is pale yellow in color and absorbed easily.It contains high amount of vitamin E and give you younger and glowing skin. Olive Oil is also one of the best Natural Oil and considered best for skin massage. It is rich in vitamins and antioxidants.It prevents free radicals to damage cells and it protects the skin from Harmful effects of Ultraviolet Sun Light (UV). This oil also contain a high amount of vitamin E and easily absorbed by skin.Regular massage with Apricot Kernal oil will give you young and smooth and glowing skin. It is also a good natural oil for skin massage and also use to remove dryness.It contains vitamin A,B and E.It is comparatively thick oil but absorbed easily and protect your skin from UV Sun rays. It is also reduce skin wrinkles and give you younger looking and glowing skin. It a best natural oil for skin massage. It has antibacterial properties and is used to treat acne.Regular massage will give you smooth,supple and glowing skin. It is easily absorbed by skin and give a smooth,supple and glowing skin.It contains high amount of antioxidants and help a lot to fight against free radicals which may damage skin. Coconut Oil massage is also best for rough.dry and wrinkled skin. Sunflower oil is light and non greasy oil and easily absorbed by skin.Sunflower oil contains essential fatty acid linoleic acid, palmitic acid and stearic acid, all of them are best for healthy skin and younger looking skin.It also contains a high amount of vitamin E and K and considered best for wrinkled and saggy skin. Skin Texture varies from person to person so if you are allergic to any of the above oil then avoid its massage and replace it with any of other oil because all Oils are considered very effective for skin massage.